All French Laces are 100% Cotton. Minimum Put up for each lace is listed. This is a French all cotton lace, white only, 5/8" wide, 15 yard cuts. This is a French Cotton Trim, White or Ecru, 1/4" wide. White, Ecru or Black, French 100% Cotton Lace, 3/8 " wide, 15 yards cuts. 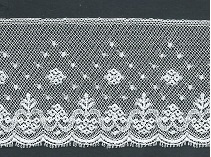 Ecru Only, French 100% Cotton Lace, 1/2 inch wide, 15 yard cuts. This is a French Lace,all cotton, 1 1/2 inch wide, white only, 5 yard cuts. White only, French 100% Cotton Lace, 3/8" wide, 10 yard cut. 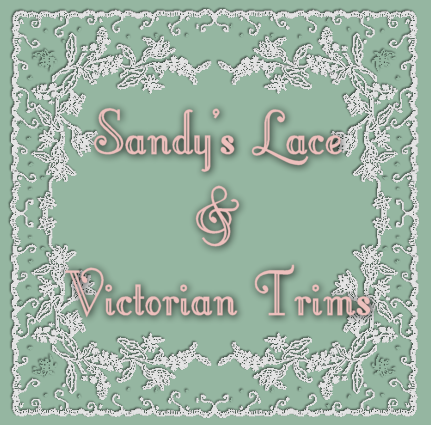 French Lace, 100% Cotton, white or off white, 5/8" wide, 15 yard cuts.